The area offers shopping, restaurants, and activities such as parasailing, jet ski rentals, boat tours (with a common sighting of dolphins in the Gulf waters), miniature golf, fishing charters, and "pirate ship" cruises. With miles of sugar white sand beaches and warm sea breezes, makes Clearwater Beach the perfect location for the AARS2017 Symposium. 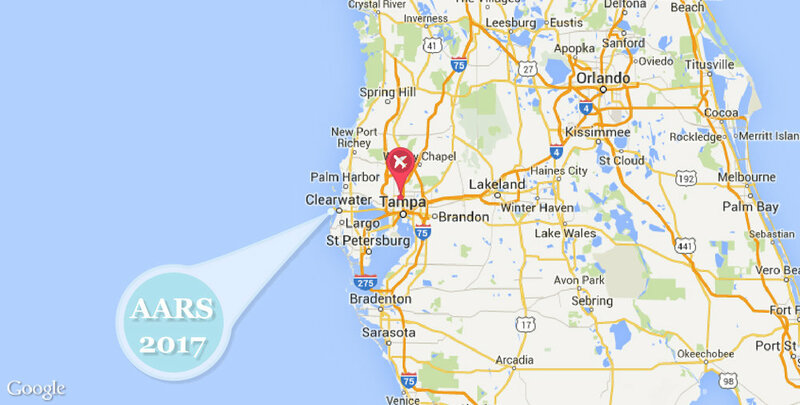 Located on the Gulf of Mexico, 25 minutes west of Tampa, Florida. 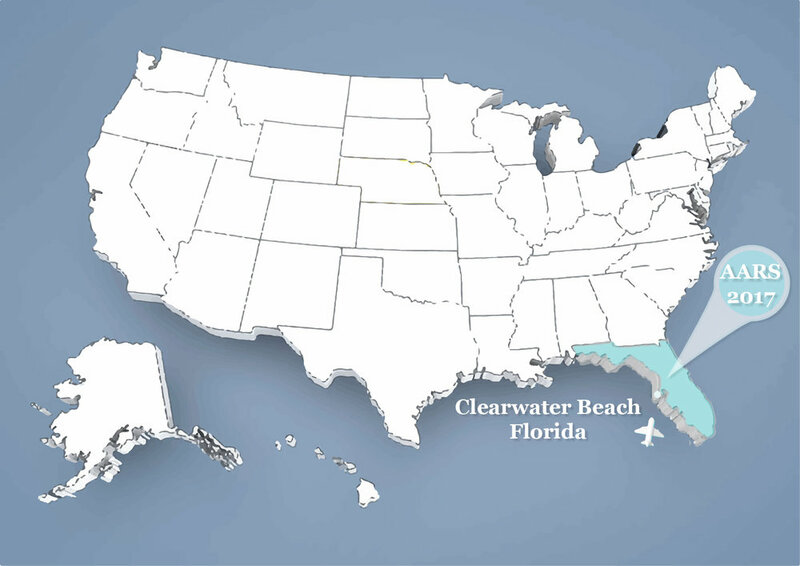 Clearwater has frequently been ranked one of the best beaches in the United States. Its Sandpearl resort was named one of the best beach resorts in the U.S. In 2009 an episode of Brooke Knows Best was shot on the beach. In January 2013, Clearwater Beach was awarded the designation of Florida's Best Beach Town by a USA Today reader poll ranking 10 Florida beach destinations. Clearwater Beach is approximately 20 miles (30 km) from Tampa International Airport (TPA) and 25 miles (40 km) from downtown Tampa. Take the Super Shuttle at group rate of $45 Round trip. All rental car companies are represented at the airport. Sheraton provides free parking for Guests. This special rate is available ONLY 3 days before and 3 days after the meeting (subject to availability), for people that want to come early or stay late and enjoy the beach. All other dates outside that window will be at regular hotel rates. Please plan to make your reservations early to assure you have a room for your extended stay. for special group rate to book is Sept 15, 2017. Roommate Service: Please indicate on the Registration Form if you would like to share a room.